Buying a home is big decision. For most people, it is the largest single investment of their life. With the recent roller-coaster ride it’s easy to understand why some people may be leery of taking the plunge into home ownership. If you have been renting a home and sitting on the sidelines waiting for the right time to buy a home, it looks like 2016 is your time. To explain why 2016 is the year to buy a home, first we need to understand what makes the 2016 real estate market different. Real Estate works in cycles. You would have had to be under a rock to not be aware of the real estate bubble and consequential crash of recent years. Although that was a dramatic version of the cyclical nature of real estate, it is one that everyone is aware of. 2016 is expected to be a very strong real estate market for a variety of reasons. Why is the 2016 Real Estate Market Different? Real Estate values naturally go up and down. When looked at in the long term, real estate is a very solid investment and outperforms the stock market for acquiring wealth long term. In the most recent real estate bubble and subsequent crash, national housing prices peaked in 2006, started to decline in late 2006 and reached new lows in 2012. Since then, housing prices have trickled back up. That particular real estate value cycle was not naturally incurred as it was spurred by highly unusual lending practices which unnaturally fueled the real estate market. When the roosters of those lending practices came home to roost, the real estate market took a dive. The real estate market of 2016 is growing for very different reasons and thus shouldn’t fall victim of an outside source dramatically affecting the natural cycle of real estate. 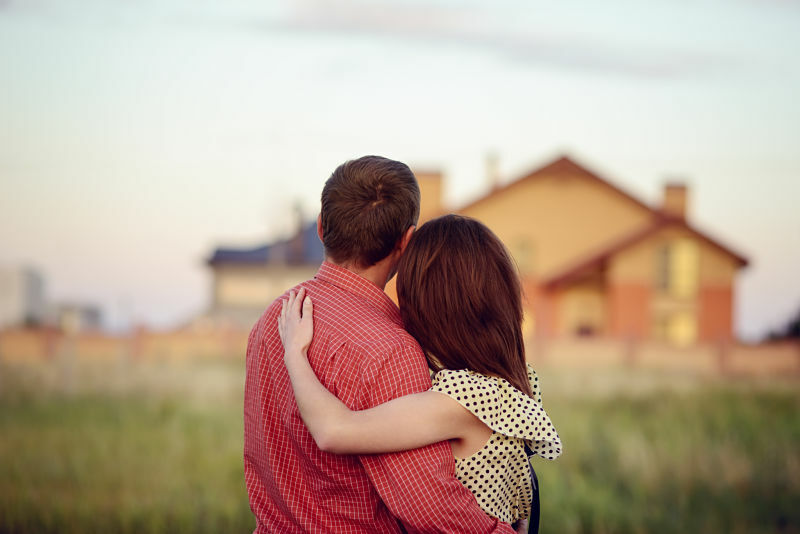 Let’s cover the reasons that 2016 is the year to buy a house. Rents have been on the rise since early 2000 and unlike home prices, which took a hit when the market went south, rent prices have continued to rise. It’s a very simple thing to wrap your head around, when rents go higher, and outpace the real estate market, it makes owning a home more affordable and a better option. There are many ways to compare what make better financial sense: to rent or to own. When renting a home becomes much more expensive than owning a home, people will naturally make the investment into homeownership. A couple things to remember, if you rent your home, none of the money that you pay in rent is tax deductible. When you own a home, the interest you pay toward your home mortgage is deductible. The way that home loans are amitorized, a large portion of your overall note is applied to interest for the first few years, this ultimately makes great financial sense to buy a home as opposed to renting. It makes such a difference for many people, nn many instances, you can even adjust your dependents to actually bring home more money in each check. Many property management experts expect rental rates to rise by an additional 8 percent (nationwide) in the next year. Although home values are expected to continue to rise, they are expected to rise at a slightly lower rate than what has been seen in recent times. National housing prices have increased by 8 percent in in 2012, increased by 11 percent in 2013 and look to be levering off at growing at a rate of about 4%. Needless to say, homes in different parts of the country have increased in value at different rates. For instance, the median list price in Tolar Tx has increased by 8%. Most real estate experts still expect home values to outpace wage growth in the US, which shows the market is strong. With the prices of homes leveling off, this makes 2016 a perfect time to purchase a home. We have been living in an environment of historically low interest rates for so long now it has become the new normal. Let me tell you, the current mortgage rates we are experience are NOT normal. We have spoken quite a bit on how interest rates affect home values. Most economists expect mortgage rates to increase slightly in 2016. They are still expected to be at silly low rates, but you should start to see mortgage rates increase. That means that if you want to take advantage of the very best interest rates you are most likely to see in your lifetime, 2016 is the year for you to buy a home. Don’t wake up one day and “normalized” interest rates and say----“I really wish I would have locked in my 30 year mortgage at the 2016 interest rates”. As home prices level off, more homeowners are expected to list their homes in 2016. In addition, we have seen an increase in new home startups which, unlike the new construction boom of recent, will be focusing on starter homes and mid-level homes. Not only does new construction create a boom for the economy, coupled with low interest rates, they entice current home owners to step up into a new home. It also creates substantially more inventory for the first time homebuyer. Where many real estate markets have seen housing inventories tighten up, most expect inventory to get larger in 2016. For instance, Granbury TX real estate has seen a month over month decrease in housing inventory of almost 9 percent in December. This is expected to not be the case in 2016 with many new homes hitting the market. Expect to have a lot of homes to choose from in 2016. If you have been one waiting on the fence to wait for the perfect time to buy your next home, it looks like 2016 is gearing up to be the time for you. The first step in buying your next home is to start searching for homes for sale in Granbury Tx. Once you get an idea of what is currently available, you will want to contact a REATLTOR. Immediately after you choose your real estate agent, you will want to start the process of financing, as being pre-approved for your mortgage should be done early in the home buying process. Your real estate agent will assist in tips and tricks to make an offer on your new home. Your agent will help walk you through the remainder of the process, but NOW is the time to get started if you want to take advantage of the perfect storm for homebuying we are expecting to see for 2016.